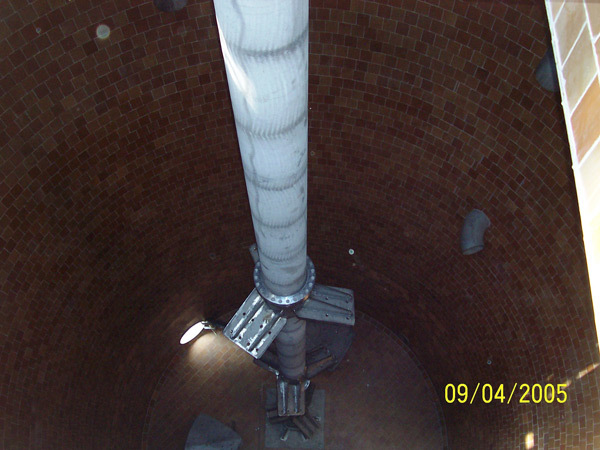 The processes involved in the pulp and paper industry have their own unique requirements, and MixPro's line of custom pulp mixing systems is tailor-made to each set up. 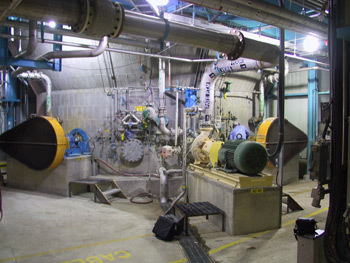 Most pulp and paper mixers are of the side entry design, as seen in the VST mixer at right. From 1 to 300 horsepower, these mixers are mounted on a flange on the side of a tank, normally near the bottom. 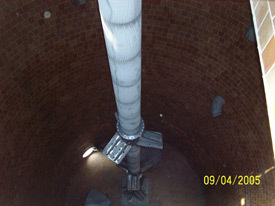 The shaft is normally horizontal, extending into the tank and equipped with a single axial flow impeller. A shaft sealing device is always required with these mixers, either a packed gland or mechanical seal. MixPro uses a methodology that incorporates these factors into an equation that generates a Process Number (PN) which satifies the process requirement. Horsepower, rotational speed, and impeller diamter combinations which will deliver this PN can be worked out using our formulas. 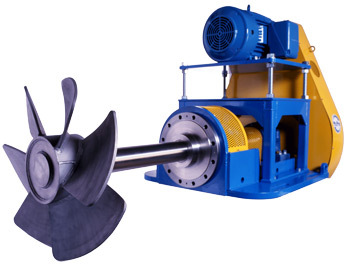 Machines with different motor horsepower, impeller diameters and rotational speeds can produce similar process numbers. Input horsepower is not the only defining factor for equipment selection. Note that each of the factors is a multiplier in the equation. 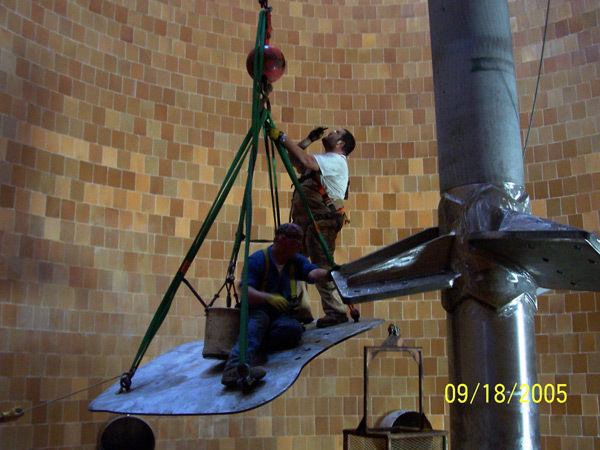 Minor changes in the process considerations can result in significant changes in the performance of an existing unit or the sizing of a new unit. Lower consistency pulp (1% BD to 3% BD) has fairly water-like characteristics and behaves relatively similarly, no matter what the fibre type. 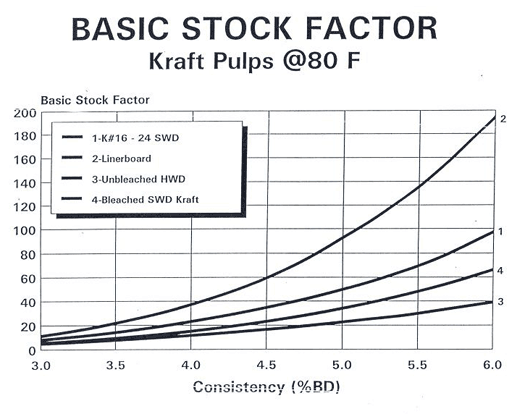 From 3% BD up to 6% BD, however, the pulp is quite thick and pseudo-viscous. It requires considerably more energy, relative to low-consistency pulp, to achieve the same degree of motion. All else being equal, loose control over the specified operating consistency can have a dramatic effect on process results. 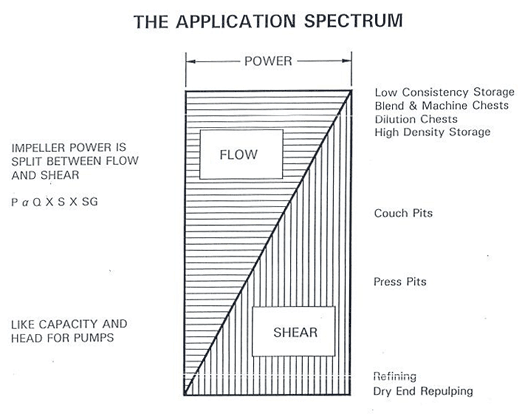 Rule of thumb: Process power required is related to the cube of any change in consistency.